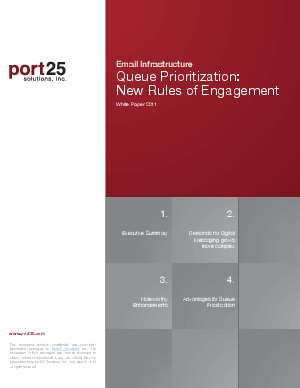 One advanced new feature is the ability to extend to allow setting priorities to each recipient in the email queue. We call this feature Queue Prioriztion. It now has the ability in PowerMTAT to set the priority of a recipient of set of recipients. This was previously only possible with the directive queue-priority. The new setting, being based on a pattern, allows the priority to be assigned to an individual recipient or a group of recipients. 0 is the lowest priority and 100 is the highest.